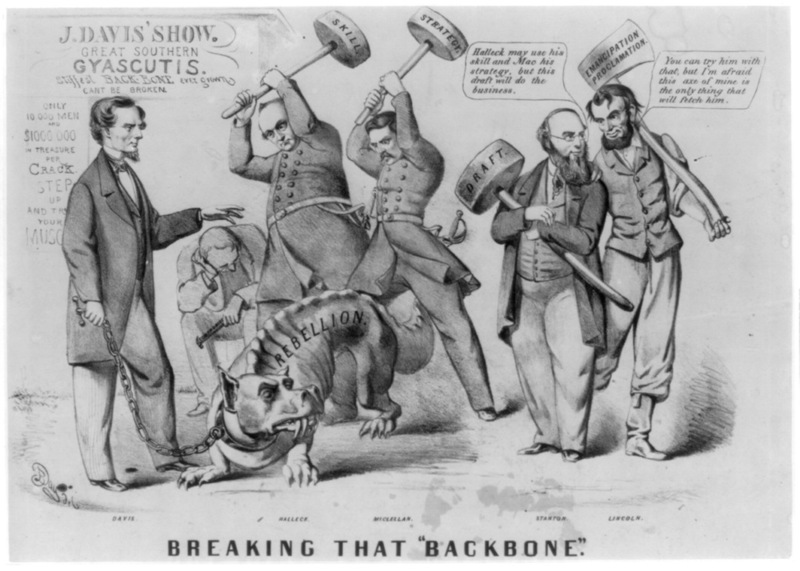 Once Lincoln emerged as a serious Republican presidential candidate in 1860, Currier and Ives and other printmakers sold dozens of lithographs depicting his body and his politics. 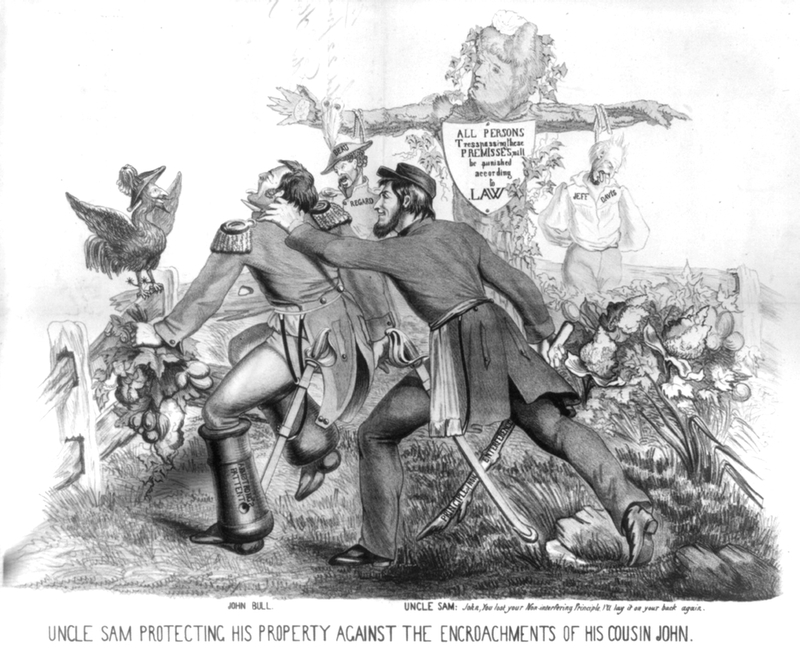 Many of these works featured the fence rails he’d become famous for at the Republican state convention in Springfield, where he was chosen as the party’s nominee (see Lincoln’s Body, p. 3). 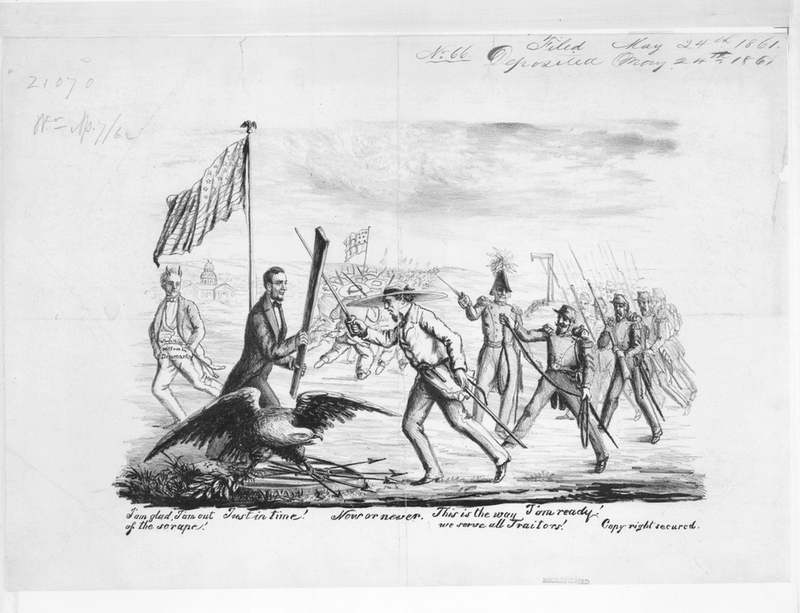 While today the workaday object most often associated with Lincoln is his ax, in 1860 it was the long wooden rail. Artists showed him using rails for many purposes, and viewers got the subtler point too: the rails stood symbolically for his own thin and elongated frame. 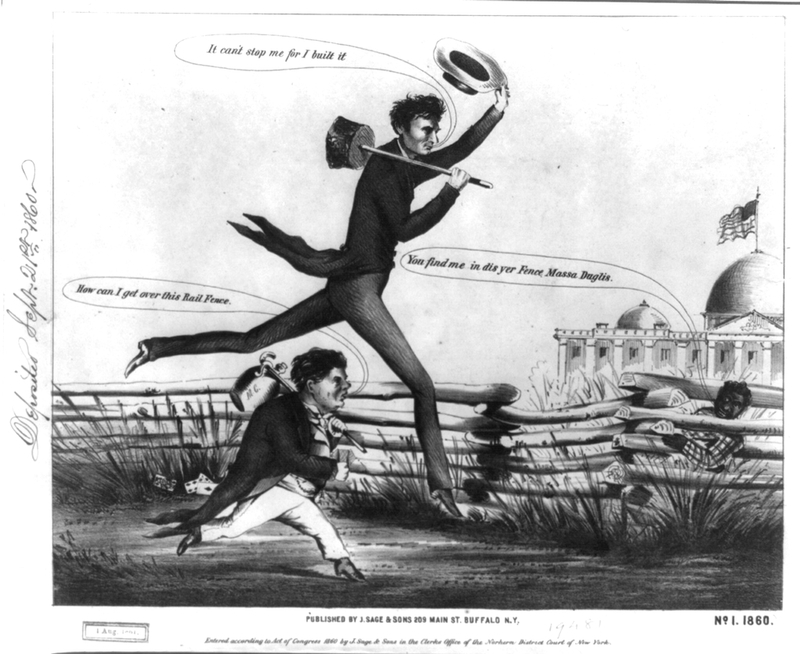 The Library of Congress collection of American political cartoons contains many Lincoln images from the early 1860s, along with detailed descriptions of each one’s provenance and contents. 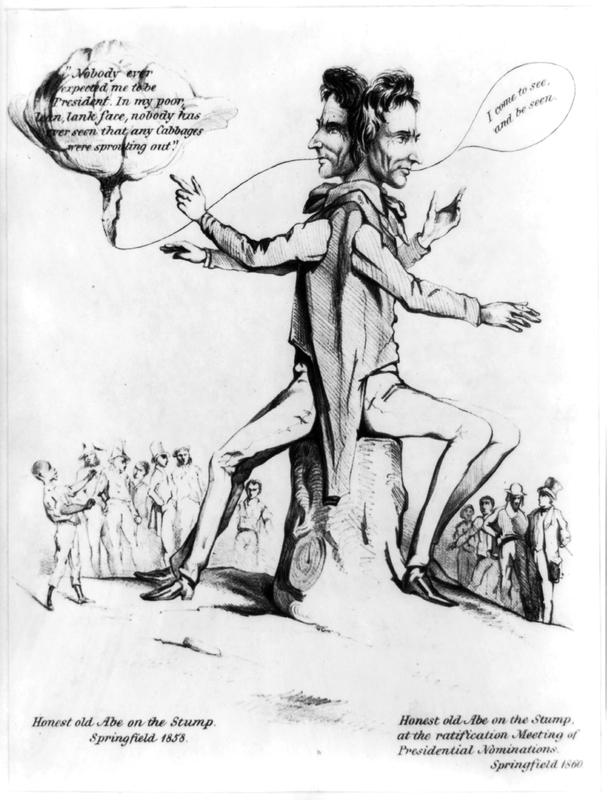 A search for “Lincoln Cartoons” in the library’s online catalogue turns up over 200 items from 1860 to the present. 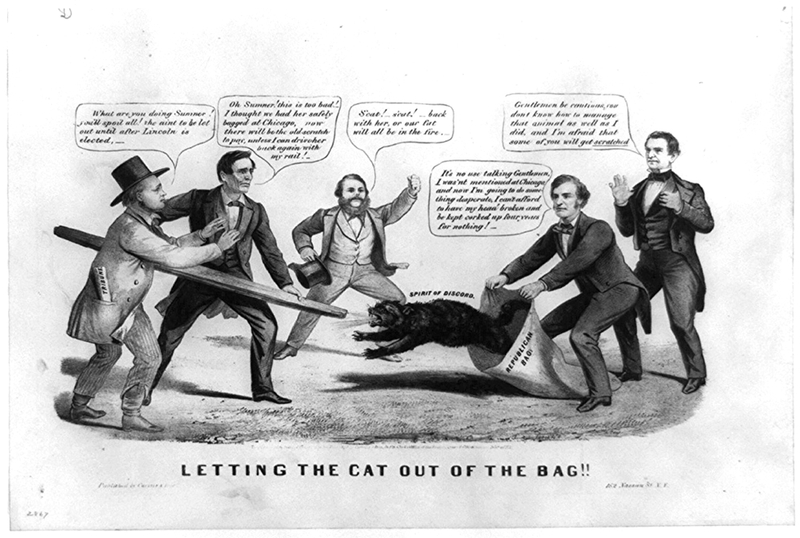 The following 14 cartoons from 1860-65 are used courtesy of the Library of Congress, Prints and Photographs Division. Click on a photo, then move the cursor over the image to reveal its caption.